Android Open Source illusion Project, known as AOSiP. The project was started a few years ago to provide open-source stock Android OS to non-stock Android devices. According to the project, it brings Google AOSP (Android Open Source Project) to most of the Android devices. Currently, the project has been available for most of the Nexus devices. Here in this post, we will talk about the AOSiP ROM wallpapers in brief. You can also Download AOSiP ROM Wallpapers in Full HD resolution from the download link given below. The main concern behind the Android Open Source illusion Project is the quality and stability of the Stock Android Operating System. It brings the Stock Android experience from Google Pixel and Nexus devices system/UI to many other non-pixel devices globally. The first version of AOSiP was based on Android 6.0.1 Marshmallow. Till now, the AOS illusion Project released by the developers for every Android version. The AOSiP ROMs have now been released for so many Android devices. The AOSiP ROM was also based on the CM Theme Engine (CyanogenMod) as with every other Custom ROM. However, the CyanogenMod project has been closed a few years ago and converted into LineageOS currently. So, the AOSiP ROM is now based on LineageOS. The LineageOS is much optimized and developed than the predecessor CyanogenMod OS. The ROM developers are also trying hard to provide fully integrated stable user experience. AOS illusion Project is comparatively a new Custom ROM than some other popular Custom ROMs. It’s currently available for a few devices like Nexus 4, Nexus 5, Nexus 6, and Nexus 7 phone models. 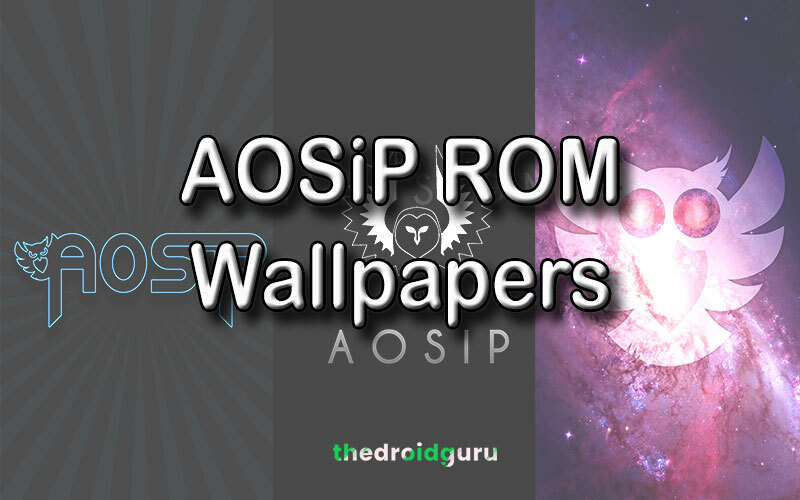 While the official AOSiP website offering AOSiP ROM Wallpapers officially. As you can see, the number of wallpapers shared on DroidViews are much more than what you find on the official website. Whereas, the official website does have only 10 wallpapers. 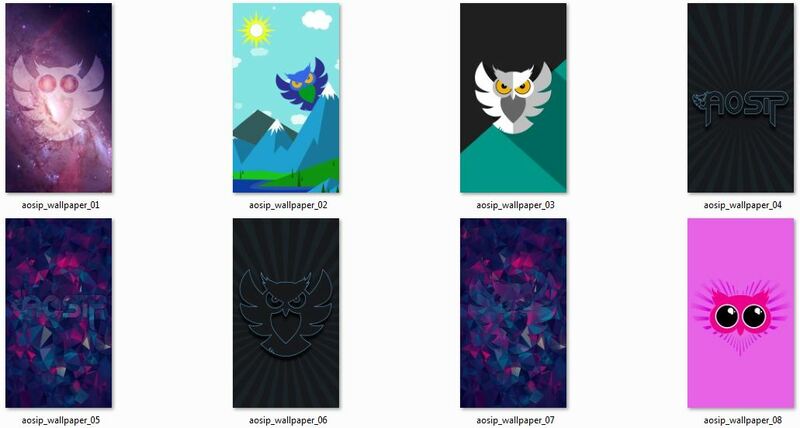 But the AOSiP Google Plus community does have more creative wallpapers typically based on Owl category. We’re providing total 38 AOSiP ROM wallpapers in a (.zip) compressed file. You can easily download the wallpapers from the download link given below. Simply download and extract the file on your device. Go to the Wallpaper option or device gallery app to find and choose the preferred image. Set it to your home screen or lock screen easily. You can also install Google Wallpapers app from Google Play Store. This app provides so many preloaded and daily wallpapers option. The wallpapers are developed for Full HD and Quad HD resolution display devices. The resolution of wallpapers combined with two different resolution. Such as 720×1280 pixels and 1080×2160 pixels. That’s only because of two different uploads of wallpapers in the official website and Google+ community page. All the wallpapers will fit perfectly on any of your Android devices easily. However, the wallpapers will look great on bigger screens like 18:9 or 19:9 aspect ratio screen devices.